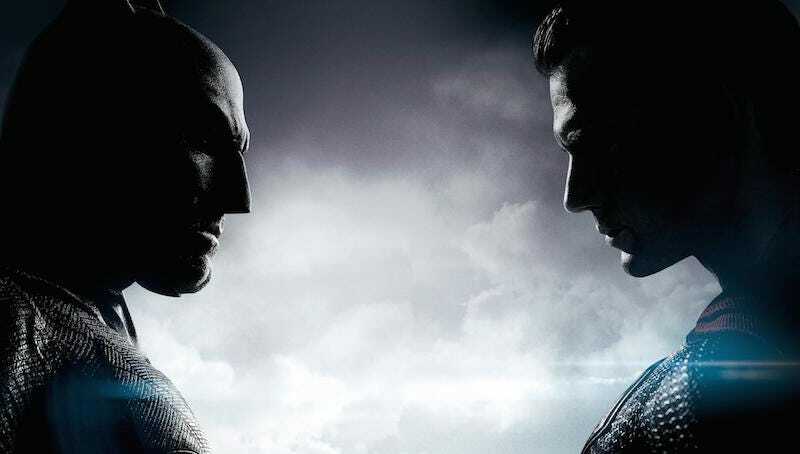 A large amount of new Batman v Superman footage and promo material was released today, and strangely all it includes some major new information on the heroes who will be v-ing each other in the film. Here are four things we gleaned from the new trailer, TV spot, and images. 1) Batman wants to kill Superman just in case. We don’t know if Ben Affleck’s interpretation of the Dark Knight will follow his famous “no killing” policy from the comics. But if he does, he’s clearly going to make an exception for Superman—even if there’s only a 1-in-100 chance of Superman turning evil. Now, I find it strange that Batman would be so determined to “destroy” Superman when he is presumably putting his supervillains in Arkham Asylum instead of killing them. So it’s okay to kill the Man of Steel if he has a one percent chance of killing more people, but the Joker, who has a 99.9 percent chance of killing more people, is allowed to live? That’s messed up. 3) Bruce Wayne is basically Lex Luthor. Obviously, Jesse Eisenberg is actually playing Lex Luthor in the movie, but he’s portraying Lex as a sort of elfin, non-superpowered Mr. Mxylzptlk, looking to cause trouble for the heroes. Affleck’s Bruce Wayne is much more like the comic Luthor, the brilliant billionaire who distrusts Superman and his powers, and wants to stop him by any means necessary. Given how much Batman hates Superman in all the BvS footage so far—here, Batman literally wants to murder him on the 1-in-100 chance he turns bad—I have no idea how what’s going to make him set aside his anger and partner up with Supes. Here’s the biggie: This new photo (the upper-left pic in the Tweet above), revealed in Empire magazine, shows a moment in the much-vaunted dream sequence from BvS where a giant Mega symbol can be seen on the ground. Comic fans know that “omega” is Darkseid’s symbol, seeing as he wants to end basically everything. There’s literally no other reason for this than as a prelude to the arrival of the DC’s universe’s biggest, baddest villain. Now, some people have interpreted this as meaning Darkseid will be in Batman v Superman; this is absolutely not (necessarily) true. It’s infinitely more likely that the dystopian nightmare is a prelude to the Justice League movies, where Darkseid will be the main villain. 4) Wonder Woman flies commercial.